From sophisticated receptions to rustic charm, Ficklin Vineyards is the perfect location for your next special event. We offer our unique facility as the perfect venue for an event you and your guests will never forget. We will work with you to translate your event as you envision it. Whether large or small, we'll pay attention to all the details. We've also created some opportunities for you to treat yourself and your Port-loving friends to the full experience of Ficklin Vineyards as highlighted below. 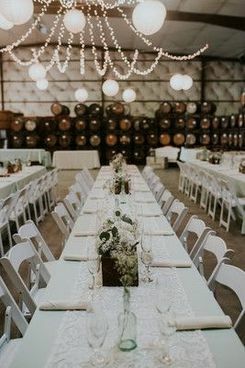 ​Our facility is available on a limited basis to provide a special and unique venue where you may hold your one-of-a-kind event. Our experienced event specialists will help turn your vision into an unforgettable affair. We're available for weddings, dinners, luncheons, silent auctions, birthday parties--just ask us what options are available to create an event to your specifications! Accentuate the experience of enjoying your Vintage Port in a decanting ceremony by candlelight in the cellar of our Adobe building constructed in 1947, Your expert host will guide your experience sharing details of your Vintage while you enjoy the ambiance that the Ficklin family and special guests have been enjoying for more than 70 years. ​From a Tapas-style paired tasting with friends to a memorable 5-course dinner for up to 12 people, you'll experience our winery from an intimate perspective. 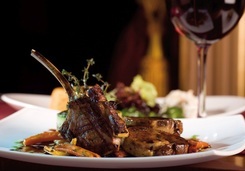 Your specially selected menu will be accompanied by Ficklin Ports. These pairings will heighten the flavors of both food and Port taking both to new levels as the flavors of each accentuate the other. 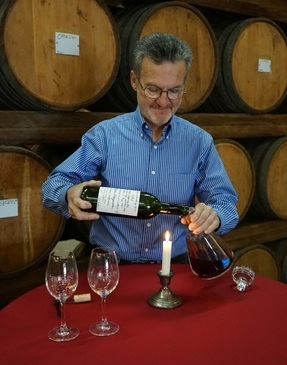 One of our Tasting Specialists will join you during your pairing experience to answer questions about the processes and history of the Ports paired with your courses.